Applications are not accepted over the phone. If you have any questions please feel free to contact Becky Epstein, Swim Lessons Coordinator at 734-661-8033 or at bepstein[at]annarborymca.org. Interested patrons should complete and/or submit a request for Private Lessons form. Please be aware that it may take up to 14 business days to schedule a lesson, and that registration ends the second week into classes.Private/ Semi-Private Swim Lessons are scheduled on a first come, first serve basis. 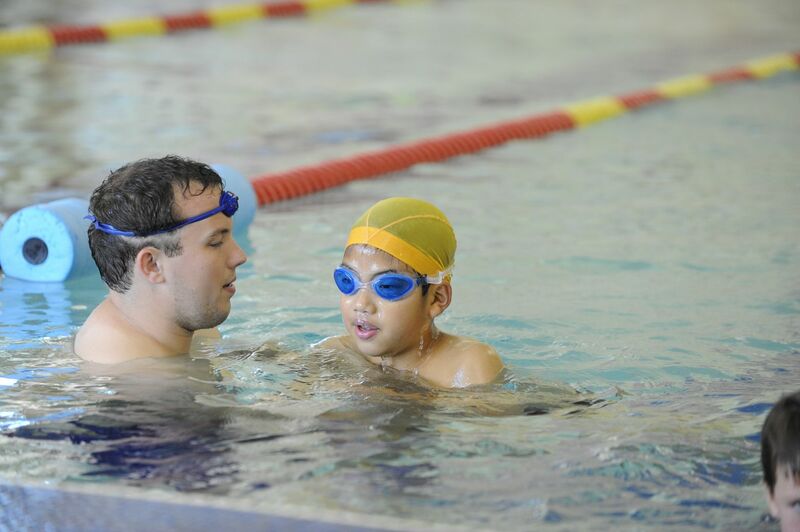 Semi-private swim lessons are limited to two (2) participants in the same family. All lessons are 30 minutes long, and they begin and end with the session for which they were purchased. Private/Semi-Private Lessons are for individuals three years and older. When registration begins for classes, it also begins for Private/Semi-Private Lessons.